Are you looking to create multi-page galleries in WordPress? By adding pagination to your galleries and albums, you can speed up your site and increase your pageviews at the same time. In this article, we will share how to add pagination in WordPress image galleries. By default WordPress galleries do not allow you to create multi-page galleries. However, we know that it is important for photographers and artists to have the flexibility in the way they display their images. That’s why Envira Gallery allows you to add pagination to your galleries and albums. The first thing you need to do is create an image gallery using the Envira Gallery WordPress plugin. 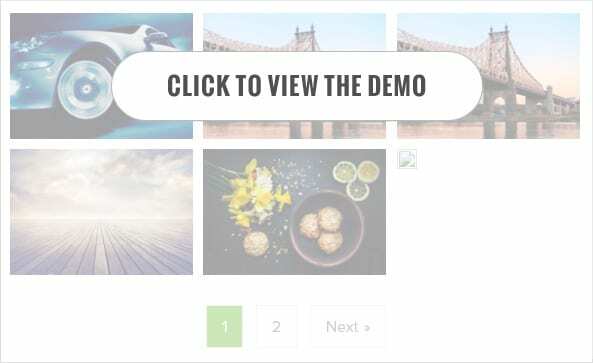 You can follow our step by step instructions on how to create an image gallery with thumbnails in WordPress. 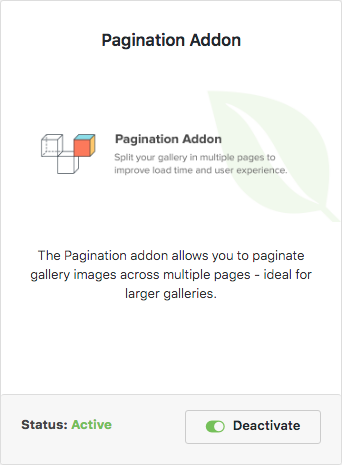 Once you have created your gallery, you are now ready to add pagination. 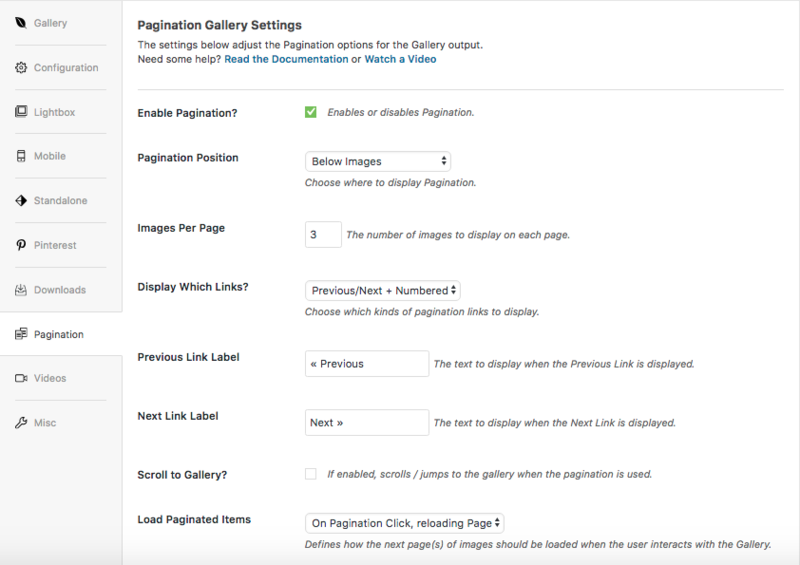 You will need Envira’s Pagination Addon to add multi-page image galleries in WordPress. To access this addon, you must have an Envira Plus License. You can simply go to Envira Gallery » Settings and click on the Addons tab. Next, you need to look for the Pagination Addon to install and activate it. After activating the addon, go to the Envira Gallery that you created and you will see a new pagination tab. Go ahead and click on the Pagination tab to enable or disable pagination in your image gallery. In this setting, you can set the position of pagination, number of images per page, and more. Once you are satisfied with the settings, make sure to click on the Update button. You can now visit your website to see the gallery pagination in action. Click to see the Live Gallery Pagination demo. We hope this article has helped you to learn how to add pagination in WordPress image galleries. You may also want to check out our guide on how to add watermark to images in WordPress. How are you displaying the Gallery Numbers and Next as Buttons? Mine is only linked html not buttons. Can you please share how to do this? You can choose any color, font size, background, etc as you need accordingly. Hi – I have a tag list at the top of my paginated gallery, but it only shows on page 1 of the gallery. Is it possible to have the tag list appear on each page of the gallery?